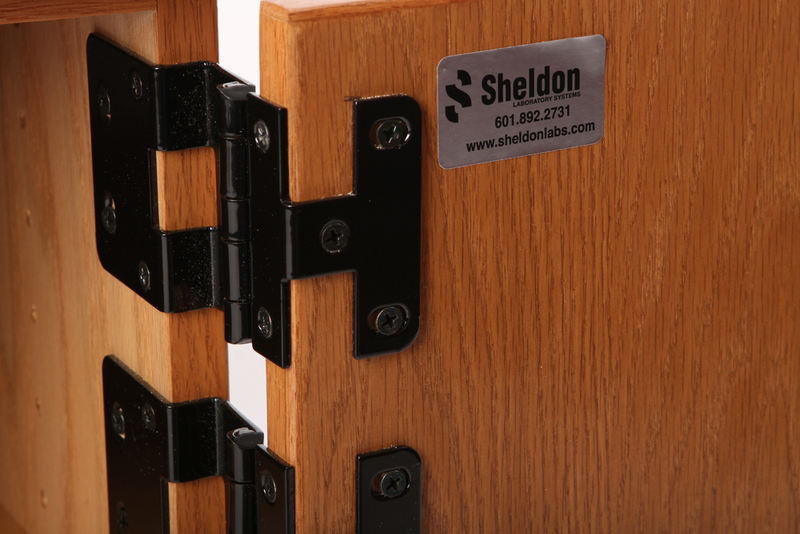 The hinges on a standard Sheldon cabinet are wrought steel with a powder coat epoxy to prevent rust or deterioration over time. 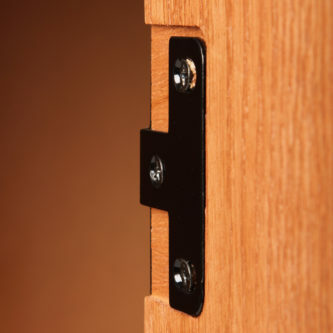 Nine screws hold each hinge securely in place, and each cabinet gets 2 hinges per base or wall cabinet and 3 hinges per tall cabinet. 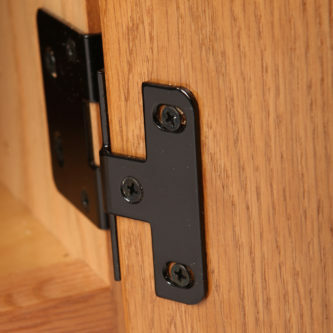 Standard hinges are finished in black or chrome, and stainless steel hinges can be provided for an additional cost. Institutional type, ground tip, five-knuckle, with pins of not less than .177″ in diameter and leaves of not less than .095″ thick. Hinges shall be wrought steel with powder coating. 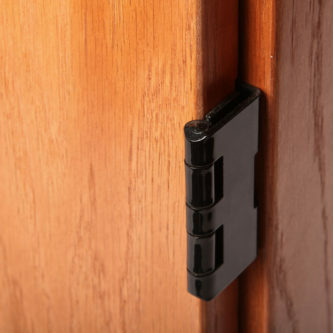 Two (2) hinges shall be provided on doors under 36″ in height and three (3) hinges for doors 36″ and over. Physical properties: Hinge must be capable of supporting 150 lbs. 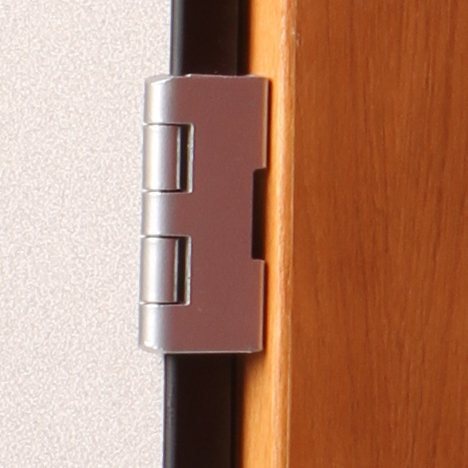 placed 12″ from hinge center with door open 90 degrees. Our standard hinge can be mortised or non-mortised. 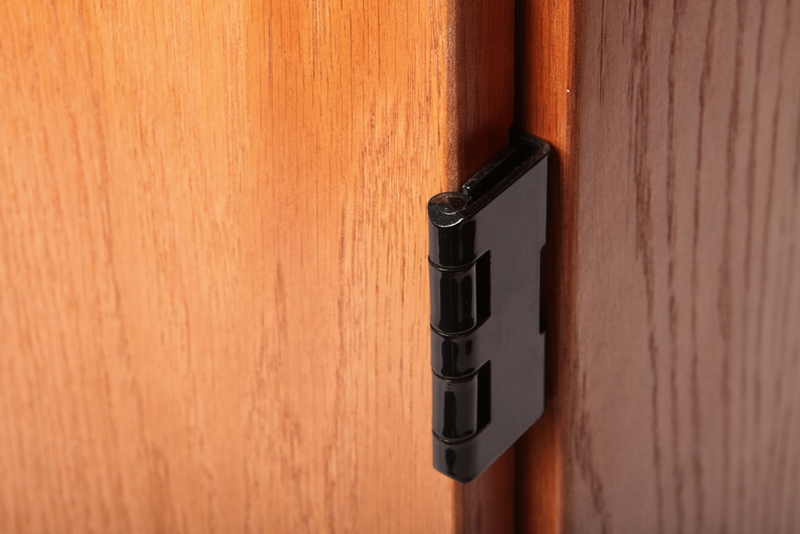 A mortised hinge is flush-mounted, causing the door to close directly on the cabinet front. 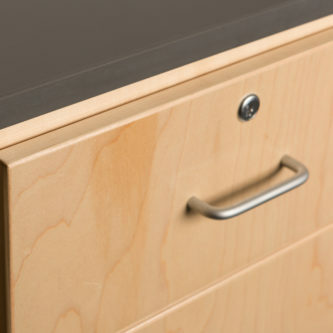 A non-mortised hinge allows spacing between the door and cabinet front for a softer close. 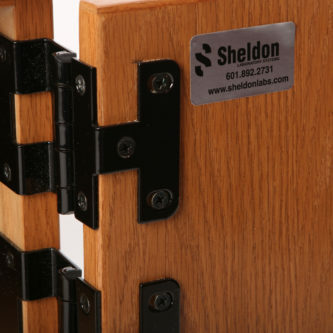 Sheldon’s standard pull is a solid metal pull, finished in black or chrome to match hinges. Stainless steel pulls can be provided for an additional cost. Pulls are held solidly in place with two screws from the back. Solid metal, wire type, 4″ long mounted with two (2) screws fastened from back. Provide two (2) pulls for drawers over 24″ wide. Smooth drawer movement is important to the quality of a drawer, and Sheldon’s slides ensure the pull out is even and smooth. The standard drawer slide is a powder coated captive roller system slide. These slides pull out 3/4 of the drawer depth and have a 100 lb. load rating. Full extension slides are available for an additional cost. 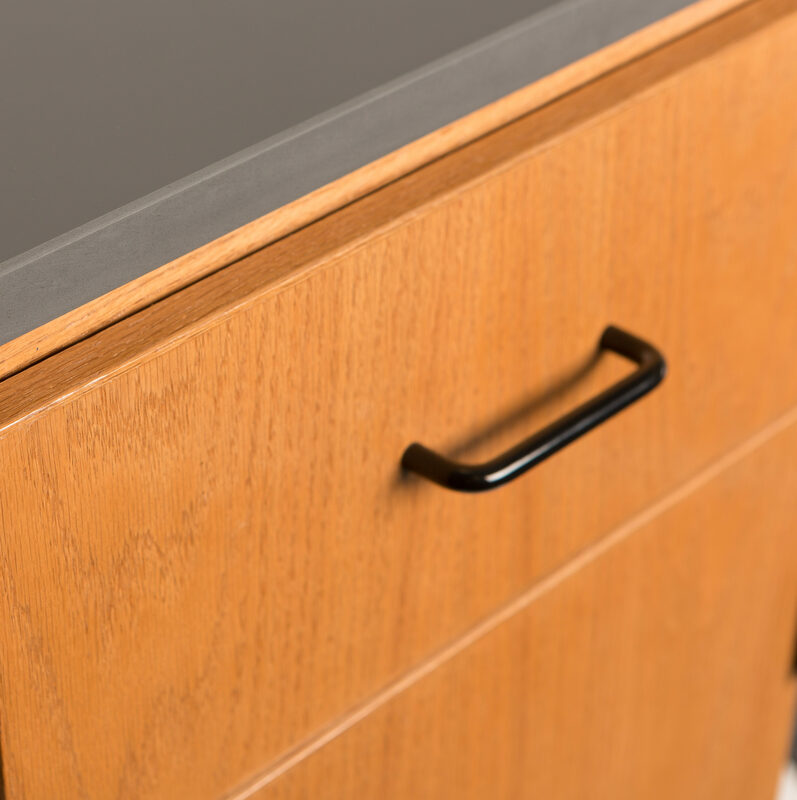 Standard drawer runners shall be powder coated, cold roll steel, featuring a captive roller system with in and out stop and out position keeper. 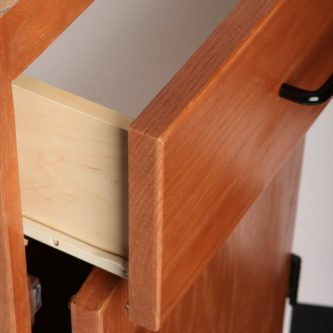 Drawer runners shall be side and bottom mount with 100 lb. load rating per ANSI/BHMA test procedure.